Tom, AA9A will be active again from Sint Maarten, IOTA NA - 105, 2 - 30 March 2019, as PJ7AA. He will be active on 80 - 10m CW, SSB, RTTY, JT65. THOMAS J HARKE, SR, AA9A, N5200 DEER RUN TRAIL, DE PERE, WI 54115, USA. A constituent state of the Netherland Kingdom, Sint Maarten encompasses the southern third of the Caribbean Island of Saint Maarten. The Northern two-thirds makes up the French oversees collectivity of Saint Martin. Prior to October 10, 2010, Sint Maarten was considered the island territory and was part of the territory known as the Netherland Antilles. At only 37 square miles of Island, Sint Maarten is often referred to as the crossroads of the Caribbean. Discovered in 1493 by Christopher Columbus on behalf of Spain and was first settled by the Arawak’s. Because Columbus spotted the island on the holiday of St. Martin of Tours, the island was therefore named after St. Martin. The abolition of slavery directly bought about the economic decline of Sint Maarten due to the abandonment of the plantation culture. 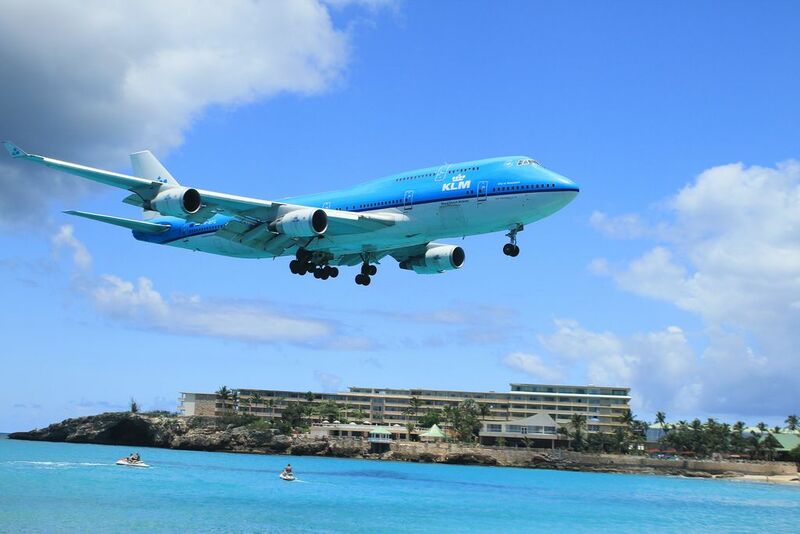 However, the declaration of Sint Maarten being a duty free port invited a booming tourist business. The Dutch began hosting the tourists initially in the 1950s, while the French followed suit 2 decades later. The tourist boom did not enhance the other islands as it did with St. Maarten. 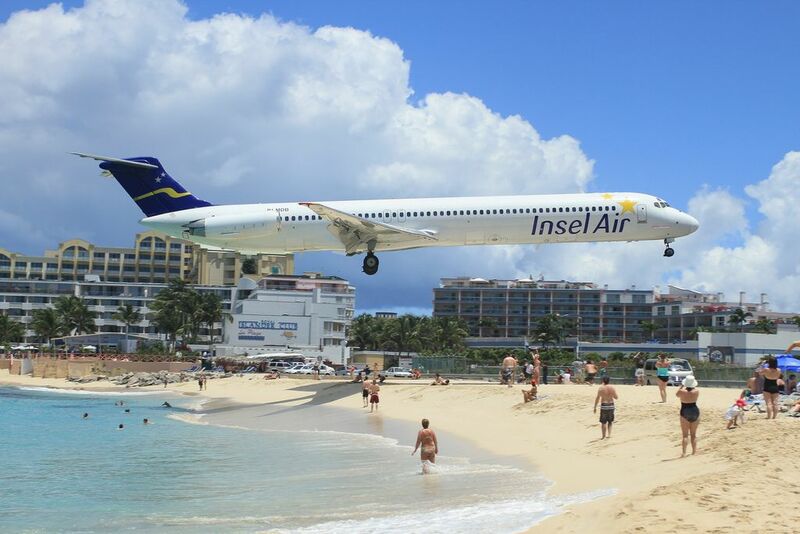 With this tourism, the Princess Juliana Airport became one of the busiest airports in the eastern Caribbean. For much of this time a business tycoon and Democratic Party member Claude Wathy governed the island. Tourism wasn’t the only change that Sint Maarten underwent, the demographics also changed considerably. The population of 5000 inhabitants grew rapidly to a population of 60,000 inhabitants during the mid 1990s. This increase was made up of peoples from the Lesser Antilles, Curacao, Haiti and the Dominican Republic. There was also an influx of Americans, Europeans as well as Asians. This immigration explosion made minorities of the indigenous people. The population growth has now lessened leaving the population at 75,000 in 2013. Today Sint Maarten is the smallest landmass to be shared by 2 sovereign nations, which is Holland, and France as agreed to in 1648. Although their respective administering countries have influenced the culture, the traditions and heritage is primarily the same. The native Creole can trace their roots back to Africa, France, the Netherlands and the British Isles. If there were a reflection of the cultural diversity, it would be in the languages of the Island. The Dutch, French and British traders brought their languages and the Afro-Caribbean people brought the language and culture of West Africa. Dutch is the official language however; English is taught in the educational institutions and spoken everywhere. Spanish and Papiamento (a dialect of the Netherland Antilles) are also spoken. Over the following 150 years Sint Maarten was passed between Holland, England, France and Spain. Many of the inlets still wear the scars of its tumultuous past as left by the Old Stone Forts. Saint Maarten offers a large variety of things to do both day and night. For divers of every skill level there are 50 diving spots to indulge in. Here you find coral, algae and marine life. This underwater adventure in turquoise water with its colorful fish, shells and crustaceans are custom made for the snorkeler and diver. There are things to do above the water as well. Have a kayak adventure and explore the many coves that are located around the island. Sail around the Simpson Bay Lagoon and leisurely enjoy the sights. On the land you can find mountain and trail biking. Follow the volcanic peaks and natural preserves around the island of Saint Maarten and discover how the hours will just slip away while you are lost in the scenic and natural beauty. Follow the history of Saint Maarten at the Museum of Saint Maarten. Here you will find the cultural history from the prehistoric days to today. There is plenty of nightlife in Saint Maarten that will go on all night. Likened to Miami you will find the hottest DJs and the best entertainment from around the world. The music will keep you on the dance floor all night. If dancing is not what you want to do, Vegas style casinos are available to you. Be prepared to find the latest video slot machines, Three Card Poker and Blackjack. There are lots to choose from and it goes on all night as well. For those quiet romantic nights out, there is always watching the sunset at a beach bar. Should you want to see all of the beach bars, there is a party bus to hop on. Mingle with the locals and people from all walks of life while listening to reggae, Latin and soul music. All of Saint Maarten is duty and tax-free and all prices are quoted in English. This makes shopping here another wonderful experience. Loaded withshop-lined streets you can shop for anything from jewelry to electronics. Hotels and Villas are waiting for you in Saint Maarten. Choose from 5 star resorts and hotels, to the many inns located on the island. For that home away from you can rent a villa for the duration of your holiday. Saint Maarten is only 3 hours from NYC and 4 hours from Miami. There are several direct flights from the major airline carriers to Princess Juliana International Airport. A cruise to Saint Maarten is also available for those who have the time. The Dr. A.C. Whathey Pier is considered one of the top ten piers worldwide. It can handle 4 cruise ships and has promenades and sidewalks. Saint Maarten has a rich and diverse culture and history. A visit to this island and you will meet people from all over the world and every walk of life. There is so much to do you should plan your holiday for a long stay. PJ7AA. Where is Sint Maarten located. Map.